A judge in the Court of Session ruled that that the court had “no jurisdiction” as the parties to the lease had agreed that the surveyor’s decision was to be “final and binding” on the parties. Lady Wolffe heard that the pursuers Cine-UK Limited and defenders Union Square Developments Limited were, respectively, the tenants and landlords of property comprising a multiplex cinema in Aberdeen under a lease which provided for rent reviews every five years, to be determined in accordance with part 4 of the schedule to the lease. The parties were unable to agree upon a revised rent, which then fell to be determined by an independent surveyor as provided for by clause 4.2 of part 4. The lease stated, at clause 1.23, that the determination of the independent surveyor was to be “final and binding on the parties hereto both on fact and law”. The pursuers had contended for a revised rent of £563,750 per annum, whereas the defenders had contended for a revised rent of £834,000. In due course a surveyor was appointed and by written determination dated 2 May 2017, the surveyor determined the open market rent of the property as at the rent review date of 29 October 2014 at £755,375 per annum. However, notwithstanding the finality provision contained in the lease, the pursuers sought to challenge the surveyor’s determination on the basis that she “erred in law”. The defenders resisted the action; the principal challenge being that the action was “incompetent” because the court had “no jurisdiction”. It was argued that the surveyor’s decision was one issued by her in her capacity as an “expert”, in circumstances where the parties to the lease agreed that her decision was to be “final and binding on the parties…both on fact and law”. The defenders also challenged the relevancy of the pursuers’ case, on the basis that the interpretation the pursuers contended for as the proper one, and which they said the surveyor erred in not following, was not an available interpretation of the lease. Further, there was no basis in either the pursuers’ averments, or the surveyor’s determination, for the conclusion to be drawn that the surveyor did in fact err in law in the manner alleged by the pursuers. While the pursuer did not dispute the defenders’ submissions about the clauses in the lease or the terms of remit of the surveyor, they did not accept that finality on matters of “fact and law” gave the surveyor a free hand in relation to all matters, or that she was entitled to make mistakes in any of these contractual directions. It was argued that what the surveyor had done had constituted an error in law by misdirecting herself on the interpretation of a clause, which amounted to her answering the “wrong question”. For these reasons, the pursuers’ case was “competent” and the court should allow a proof before answer. Dismissing the action, the judge said she had “no hesitation” in preferring the defenders’ submissions. 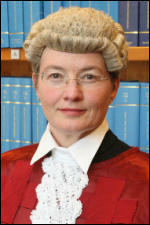 In a written opinion, Lady Wolffe said: “In my view, there is no ambiguity in the finality provision. It could not be clearer in its terms. [Counsel for the defenders] also accepted that, as recognised by the cases, the rationale underlying provisions conferring finality on decisions of experts to whom disputes are remitted included the benefits of speed, certainty and finality. “In my view, the parties’ intention for finality in questions of fact and law is reinforced by two features of the lease not yet noted. “First, the fact that there is no requirement of the independent surveyor to provide reasons for his or her determination - a point noted by the surveyor (as she noted at para 6 of her determination), is in my view significant. “One important function of the provision of reasons is to enable parties to consider whether there has been an error of law in order better to inform their exercise of any right of appeal. This rationale for giving reasons largely falls away if parties agree that there is to be no appeal to the courts against a determination. The absence of a requirement to give reasons is not, of course, determinative but it is wholly consistent with finality being conferred on questions of law as well as on questions of fact. “Secondly, it is also significant that the finality provision is not defined by reference to the subject matter of the kind of disputes which may be referred to the Independent Surveyor. In other words, had parties wished to retain the ability to challenge a determination on the basis of an error of law in certain sorts of disputes or where legal questions could arise (eg in the construction of clauses of the lease), they could have distinguished those forms of disputes from others in which finality in fact and law was desired. They did not do so. The judge also rejected the argument that the surveyor had asked the wrong question, adding that even if she had found the pursuers’ action competent, she would have dismissed it as “irrelevant”.